One cannot help but notice the many Church buildings that form part of our landscape, either for worship, education or community services, writes Teresa Brierley. Source: MNnews.today. Our society would be the lesser if those who work or minister from these locations no longer provided such services of pastoral care, rituals, teaching or outreach. Each local community must have people in it who are socially and spiritually responsible for the wellbeing of those who live in that place, the place they call home. The parish is not an outdated institution; precisely because it possesses great flexibility, it can assume quite different contours depending on the openness and missionary creativity of the pastor and the community. While certainly not the only institution which evangelizes, if the parish proves capable of self-renewal and constant adaptivity, it continues to be “the Church living in the midst of the homes of her sons and daughters”. This presumes that it really is in contact with the homes and the lives of its people, and does not become a useless structure out of touch with people or a self-absorbed group made up of a chosen few. Our diocesan services exist to assist in making real the Pope’s vision of a parish which serves the local community. The question that is being asked by the Plenary Council – What do you think God is asking of us in Australia at this time? – requires some big picture responses but it will be at the parish level that renewal takes place. At the diocesan level, pastoral ministries give voice to ecumenical and interfaith initiatives, social justice networks, ministering to and with young people, faith formation opportunities and resourcing communities liturgically. Chaplain ministers are present in our hospitals, gaols, at the port, in sport, in industry, in the armed services, at the university and within CatholicCare. Our baptismal response is to go, make, baptise and teach, given as the great commission in the Gospel of Matthew (28:18 – 20). 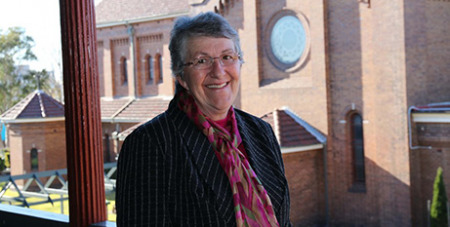 – Teresa Brierley is vice chancellor pastoral ministries for Maitland-Newcastle Diocese.